Sometimes the most trafficked pages on your site aren’t the most engaged-with pages. You could have a million people landing on a page they all immediately leave… within a second or two. That’s not the kind of performance you want from a page. We want pages that work, articles and posts and content that people are enticed by, they’re reading, they’re taking it in and mulling it over and applying the learnings. 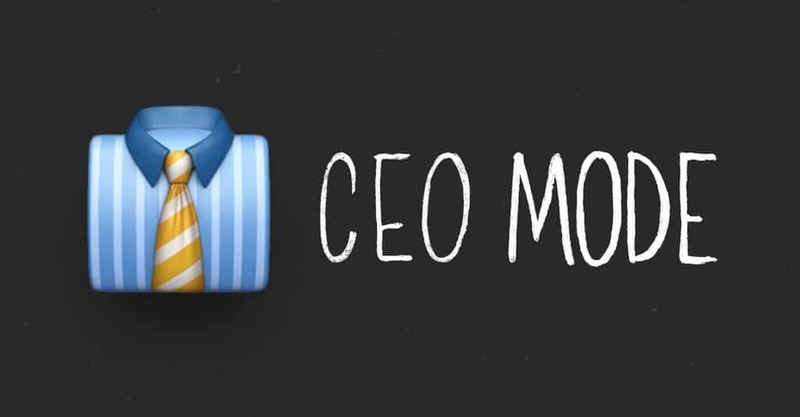 We call this “engagement,” and by focusing our efforts more towards this metric (than other metrics like “traffic” or “social shares,” etc) we could take our businesses in much stronger, sustainable and profitable-over-the-long-haul directions. A few months back, Tony Haile wrote an excellent article for Time Magazine about the importance of these kinds of “engagement” metrics. It’s a great article. Well worth your time (and I’ve included a link to it below) but first, let me show you how to run this report. 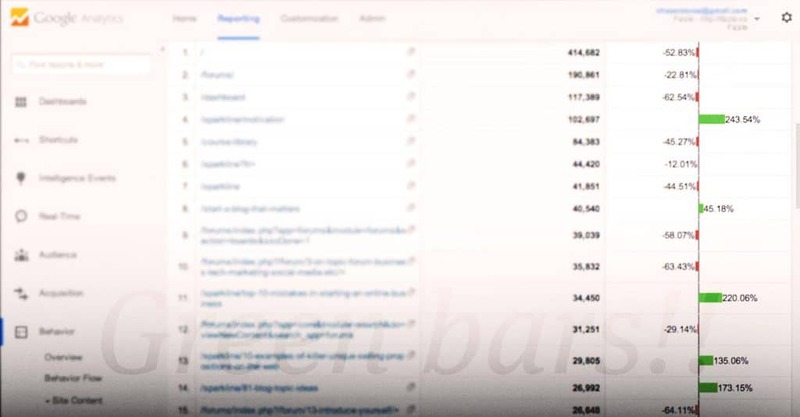 I’m going to show you a simple report I ran in Google Analytics to determine what the most engaged with posts on this blog are. We want to find pages that are BOTH high traffic AND high engagement. We don’t want high trafficked pages with very low engagement. We don’t want pages that are high engagement but low traffic. Traffic is easy to measure… it’s the number of visits to any particular page. Engagement can be a little trickier to measure, but not all that difficult. Let’s simply use TIME on the page. The assumption we’re making here is: the more time a person spends on a page, the greater the likelihood that they’re actually reading/watching/listening to the content… the greater the likelihood that they’re engaged, that they may come back again, that they may become an avid fan and loyal customer. 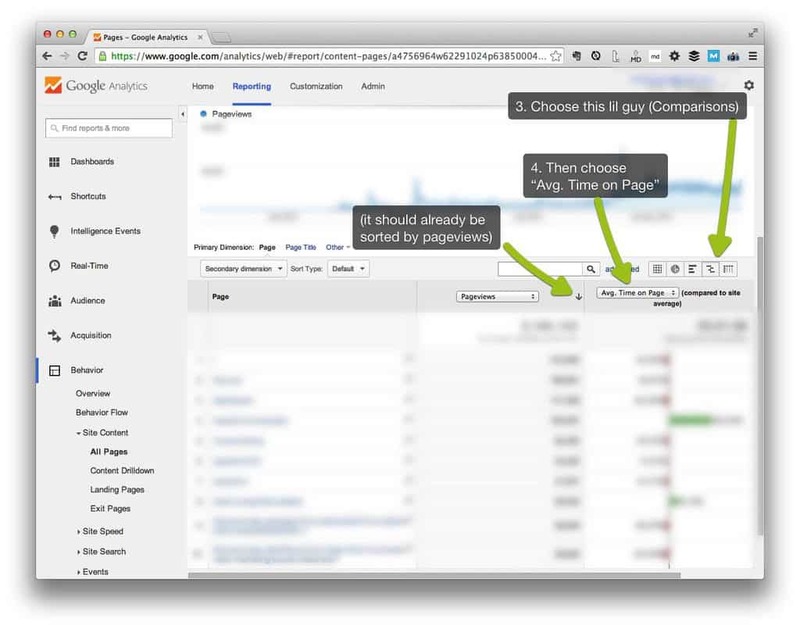 So here’s how to find which pages on your site are performing best. 1. Set a long date range. Open Google Analytics and set a long date range. I want to find the best pages across the site no matter when they were published. 2. 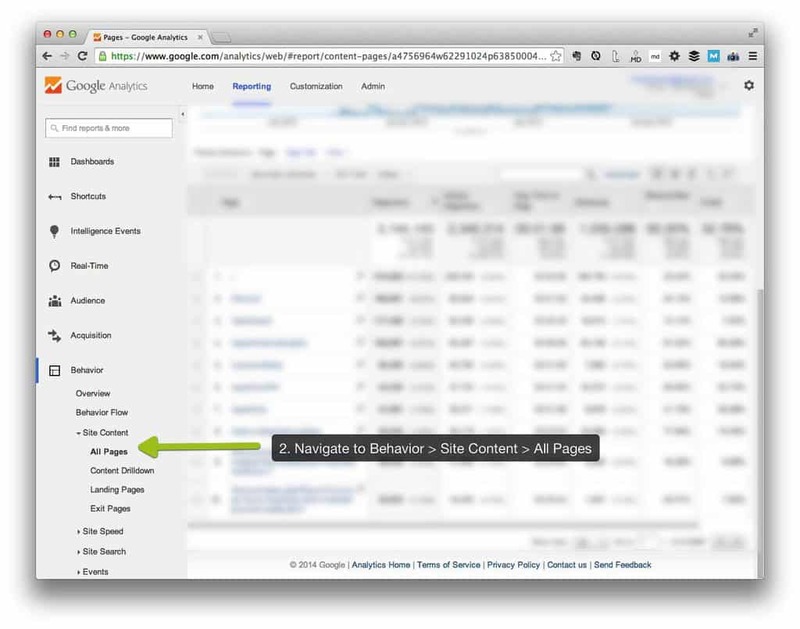 Navigate to Behavior > Site Content > All Pages. 4. Note all the green bars! From the top of the page to the bottom you’re seeing your highest trafficked pages. 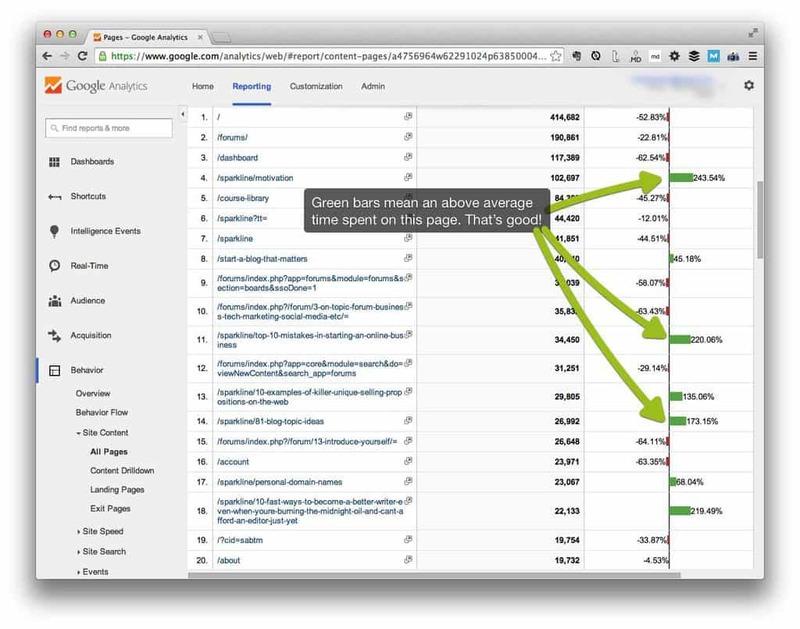 On the right, the green bars are showing you which pages visitors are spending more time on. I’m not sure what you’ll feel when you look at your own data on this, but I felt a surge of confidence about those articles that were performing best. Based on this report, the long amount of time we’re looking at and the significant number of both visitors and posts on our site, I could feel extremely confident putting these posts in front of people. In fact, I took the top 20 or so posts and added them to a new page listing the most popular posts at The Sparkline. So, there you have it. Now it’s your turn. When you run this report… what insights do you land on? What changes will you make to your site as a result? I’d love to hear your thoughts in the comments below. And here’s that great Time article I mentioned above. Vanity vs. Actionable Metrics: Are you tracking the right stats in your business?